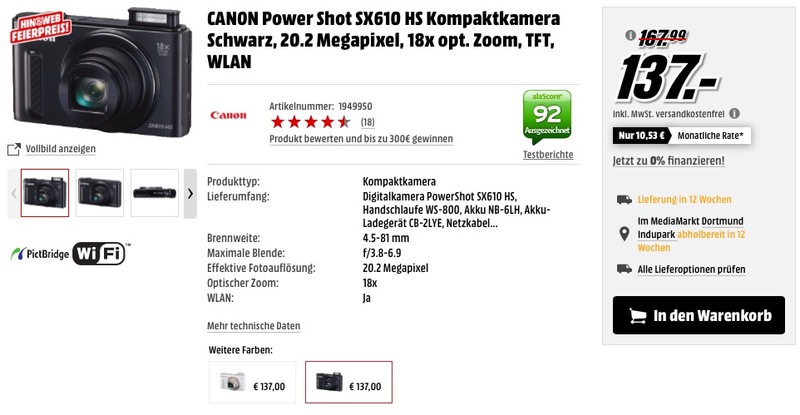 Digitalkamera mit 20,2 Megapixel, 18-fach opt. Zoom, 36-fach ZoomPlus, 7,5cm (3 Zoll) Display, opt. Bildstabilisator, WLAN und NFC.